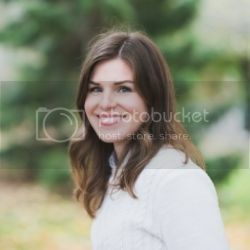 Over the past year, I've been trying to trade in my old beauty products for more natural eco-alternatives. 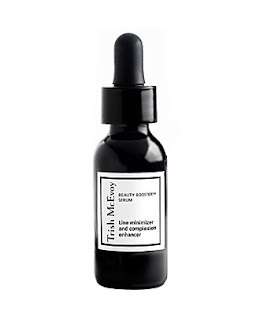 One of the hardest to replace was my beloved Beauty Booster Serum from Trish McEvoy. I searched long and hard to find an organic and natural alternative that I feel does the job just as well-- and I have. Serumdipity from Marie-Veronique Organics is my new favorite product. I use it as a moisturizer because it is hydrating, brightening and plumping all in one. It can also be pressed into the skin after you've put makeup on to diminish a powdery look and make everything look flawless and fresh. Marie-Veronique Organics is a line of beautiful and natural products that are effective without using harsh chemicals. And with ingredients like green tea, honeysuckle and elderberry the product smells as good as it performs. To make sure I wasn't biased, I recently had a friend give it a try and she loved it too! 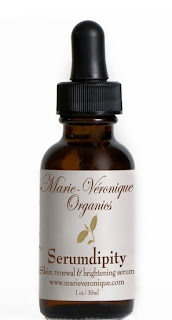 For a shopping guide to their extensive line, check out Marie-Veronique Organics here. Gotta try this one! Many thanks. I love the Trish McEvoy Serum. It is amazing!